Off to Spain we go! I am so excited about this trip!! I’ve been secretly keeping it to myself for weeks! As you know, I’m turning 40 this year and I told my husband that I didn’t want a big party. SO, instead, he surprised me with this – a trip to Spain for the entire family. I am beyond thrilled! He even booked tours and hotels and excursions and restaurants. I’m dying! This is going to be such a great adventure. I will do full recounts of each city that I visit when I return. 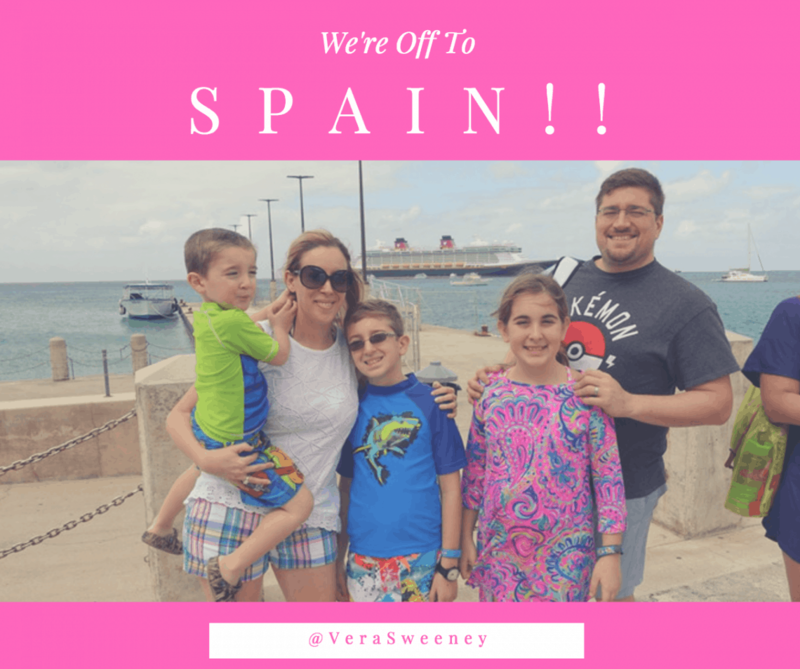 I will be sure to show you how you can visit Spain with your kids in the near future. We’ve been to Europe twice already with our clan and both times have been an absolute treat. It’s possible! !